With such a unique atmosphere our 21-day Deep South road trip allows you time to soak it all up. Our routing includes stunning colonial architecture, some of America’s best beaches and the nations most visited National Park. Fly to Atlanta from the UK. You'll then collect your car at the airport and head northeast for a short drive to Atlanta’s answer to Central Park, Stone Mountain Park. Offering green spaces surrounding a huge quartz monzonite dome, this is the most scenic introduction to the city. Tomorrow, you’ll start your road trip with a cruise around America’s most visited National Park - the Great Smoky Mountains. Our route will guide you to the southern entrance of the epic Blue Ridge Parkway. Cruise up this most scenic of roads to Asheville. The town has 17 farmers’ markets try and the local restaurant scene fully takes advantage of the seasonal produce sold there. Don’t miss the microbreweries either! Complete the Blue Ridge Parkway on your drive to Great Smoky Mountains National Park today. You’ll find ridge upon ridge of forest which straddles the border between North Carolina and Tennessee. The Smokies is world-renowned for its diversity of plant and animal life, the beauty of its ancient mountains, and the quality of its remnants of Southern Appalachian mountain culture. This is America's most visited National Park, so a second day to explore is essential in our opinion. Look out for the wonderful wildlife roaming the area including black bears, bobcats and elk. The Great Smoky Mountains National Park is an awesome place to visit at any time of year, but in the autumn the trees put on a dazzling show of colour for hikers and drivers to absorb. Whichever way you chose, you'll find a scenic route between these two great Tennessee towns, alternatively, Elvis fans may prefer to head along Interstate 40 in order to get to Graceland and Sun Studios in the shortest possible time before arriving in Memphis for your two night stop. Built on the mouth of the Mississippi, New Orleans is the home of the blues, voodoo and the colourful craziness of Mardi Gras. 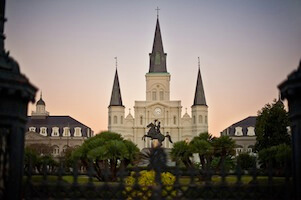 The French Quarter offers great charm and is a great place to lose the car and take a walking tour. The “Panhandle” area in the northwest of Florida lays claim to many of the world's best beaches along its 95-mile coastline. Many of the area's beaches are protected and commercial activities are restricted. For the most pristine sands, head to National Seashore areas. You’ve seen and done such a lot in last 10 days, from partying in New Orleans to hiking in the Great Smoky Mountains. So for the next two days, it’s time to just relax, hit the beach and top up that tan. Choose a different award-winning beach every day, or chill by the hotel pool. Cruise east along scenic US-98 which skirts the beautiful beaches of the Florida Panhandle all the way to the university town of Tallahassee. The following day you'll leave the warm waters of the Gulf Coast as you make your way over to the east coast and the Atlantic Ocean. A big drive today awaits today, as you swap the Gulf coast for the shores of the Atlantic. Your personalised Road Trip Pack will show you how to find the most scenic routes, like the lovely Highway-17 from Jacksonville all the way to Savannah. A true southern welcome will be waiting once you arrive. Rife with elegant townhouses, antebellum mansions, green public squares, pristine tidal freshwater marshes and mammoth oak trees bedecked in moss, Savannah is a beautiful and culturally rich city. A great city to walk around in the warm sun that usually found here, no matter what the time of year. On your way to Charleston, why not spend a while on Hilton Head. A barrier Island packed with various ways to spend your holiday time. These joys include golf, nature preserves and beautiful white beaches that often appear in “America’s Best Beach” lists. Charleston is steeped in Colonial and Civil War history, and it remains a perfectly preserved and friendly southern belle of a city. Visitors fall in love with its grace, charm and historic value which is usually enjoyed in the warmth of the South Carolina climate. Finish off any unfinished sightseeing in Charleston, before heading west to the tree-lined streets of Atlanta. Golf fans may want to swing by Augusta along the way. Atlanta is a growing city that exploded in size over the last two decades. 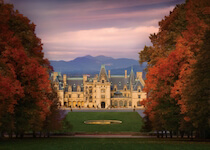 Major visitor attractions include the World of Coca-Cola, CNN Museum, Piedmont Park and the gigantic Georgia Aquarium. Beyond the big-ticket downtown attractions, you'll find a constellation of superlative restaurants and iconic African American history. Tomorrow you'll fly back home to the UK. 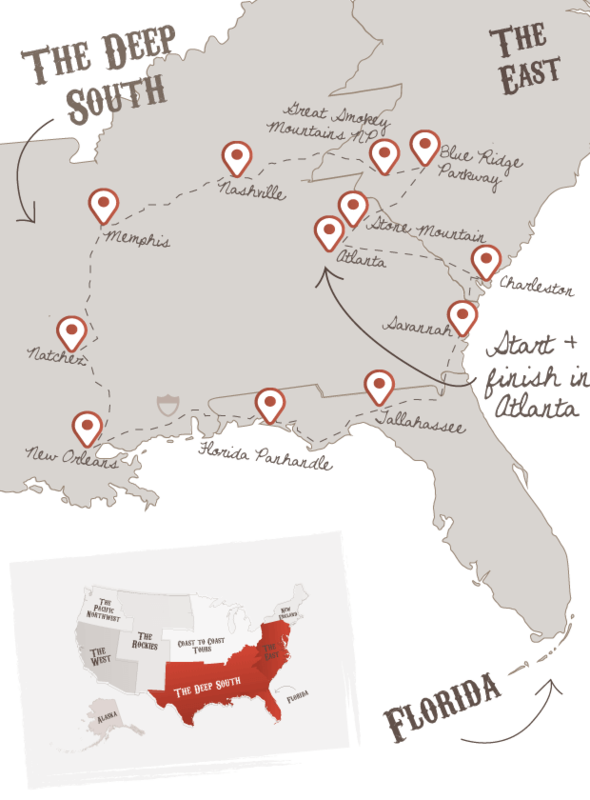 Don't forget to check out this road trip's Itinerary tab to see more amazing pictures from our ‘Ultimate Deep South' tour. You'll also be able to read a little bit about what you'll be getting up to on each day of this incredible road trip adventure.